Our state of the art equipment combined with a highly trained and experienced work force enables us to consistently deliver a quality finished product for our customers. With an exceptional work ethic and substantial craftsmanship we continuously exceed the expectations of our clients in Danbury, Ridgefield, Brookfield and nearby areas. 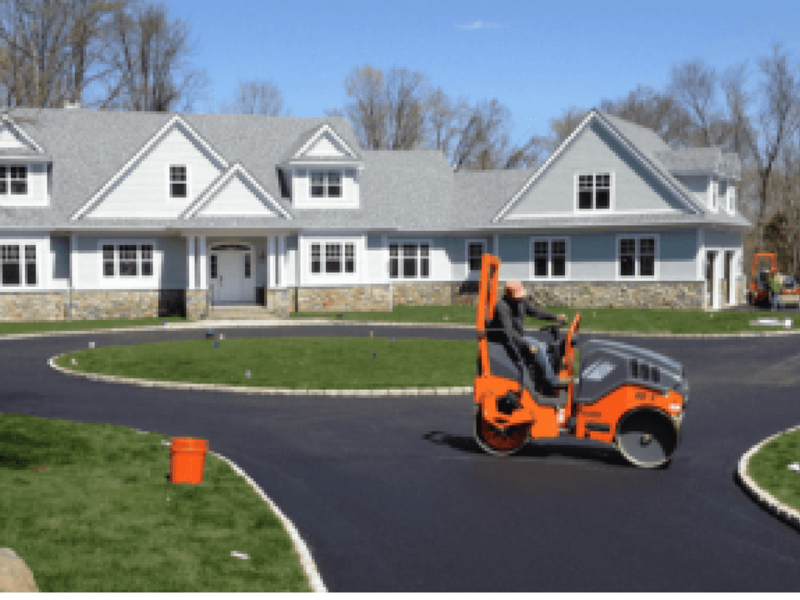 Whether it be preparing and paving a driveway for a newly built home, resurfacing an existing asphalt driveway, driveway reconstruction, crack filling, even asphalt reclaiming, Greenway Industries possesses the expertise, knowledge and equipment to complete this work at the highest standards of the paving industry and in the Greater Danbury, CT area. WHY CHOOSE GREENWAY FOR YOUR DRIVEWAY PROJECT? Repaving a driveway is often necessary and can certainly come at a hefty price. 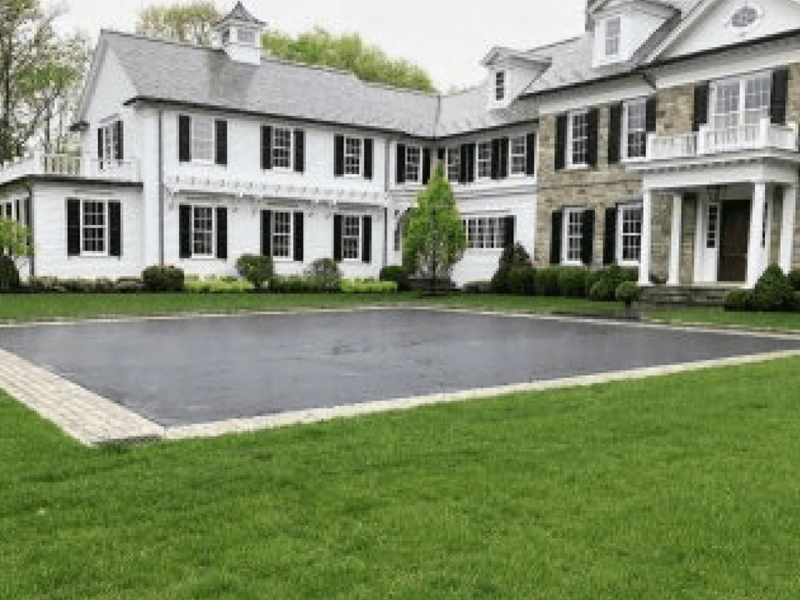 Homeowners in Danbury, Ridgefield, Brookfield or the surrounding area who hire contractors to have their driveways repaved spend on average of about $5,000 per job; while some prices may vary anywhere in between $2,000 and $10,000 depending on the size and material used for the driveway. Making the mistake of choosing a poor contractor to pave your driveway can only add on to these costs as poor workmanship can lead to a driveway that will decay within a year or two, or even worse, cause severe damage to the foundation of your property. Greenway understands that no homeowner should have to suffer any financial losses, especially when they are expecting a quality job. 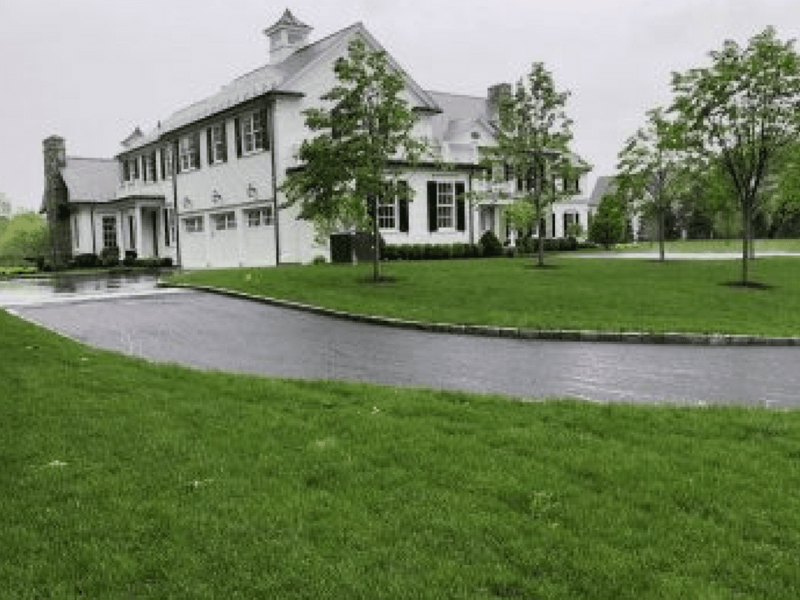 This is why we pride ourselves in delivering a beautiful and, most importantly, sustainable driveway to all of our customers in Danbury, Ridgefield, Brookfield and the surrounding towns every time. 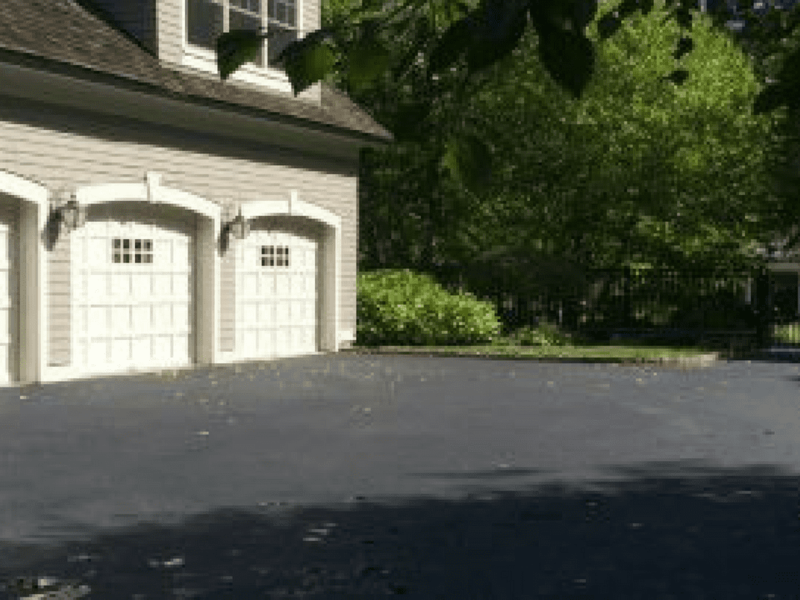 WHY IS ASPHALT A GOOD CHOICE FOR YOUR DRIVEWAY? Asphalt is one of the top renewable resources in the world and is being recycled and reused at the rate of about 60 million tons a year. Due to the texture and black color of asphalt, it is has a higher potential to absorb and retain more of the sun’s heat. This leads to snow melting quicker and aids in preventing any material from getting caught in your vehicle’s tires. Asphalt also has the ability to shrink and expand as the weather changes between hot and cold temperatures. This is particularly important in the northeast towns like Danbury, Ridgefield and Brookfield. Normally, asphalt can be laid within a day or two depending on the parameters of the project. In addition, asphalt driveways are often ready for use in as little as two days. New technology has resulted in far more efficient machinery for asphalt paving which enables us to install and compact new asphalt faster and with much higher quality than ever before. 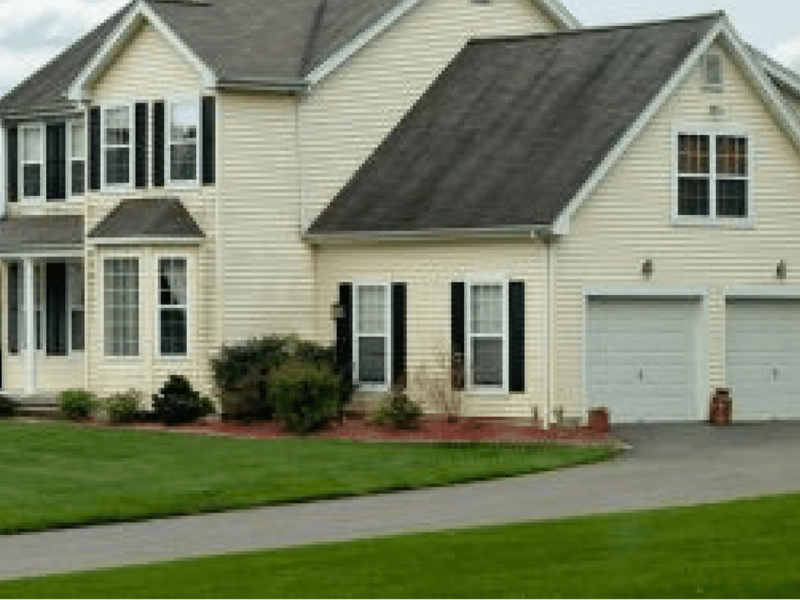 For the convenience of our customers in greater Danbury, Ridgefield and Brookfield, we posses the latest equipment to get the job done in a professional and timely manner. Made from sand, stones, and gravel with asphalt cement to hold it together, this is one of the most beneficial materials for roads, driveways, and parking lots. Formally known as ‘spalling,’ flaking can occur on concrete surfaces. This is often caused by subpar installation or environmental conditions. Due to the nature of asphalt being able to shrink and expand depending on the weather means it is less likely to experience spalling or cracking of any sort. This also means you will spend less on maintenance and repaving. 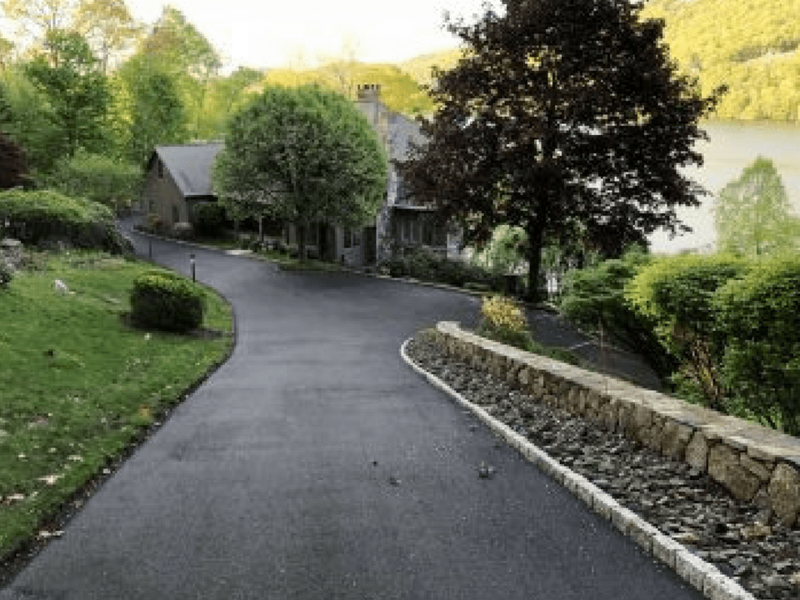 Using asphalt is your most cost-effective option for your driveway or parking lot while also providing a long lasting and aesthetically pleasing surface. When installed properly and over a stone base, asphalt provides a smooth and seamless surface that can last for decades. Asphalt offers excellent gripping for tires, and is skid-resistant. If asphalt is not the right look for your exterior we offer a variety of different materials & designs for residential driveways. Our Oil & stone or masonry selections have different looks and distinct properties that you may find more suitable for the aesthetic of your property. If you live in Danbury, Ridgefield, Brookfield or the surrounding area, call us today for a free estimate from one of our experts. View our Residential Paving Gallery.